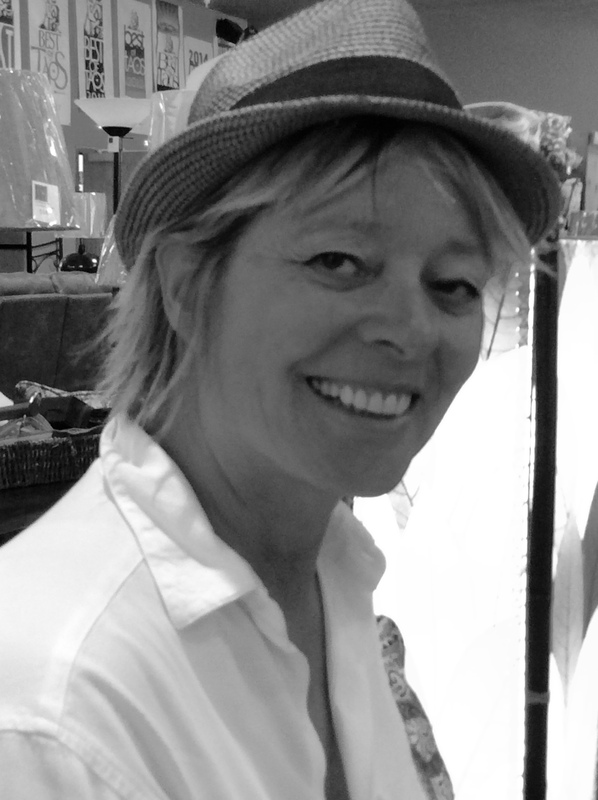 Mary Domito moved to Taos from the Bay Area in 2004, after having visited three years earlier. 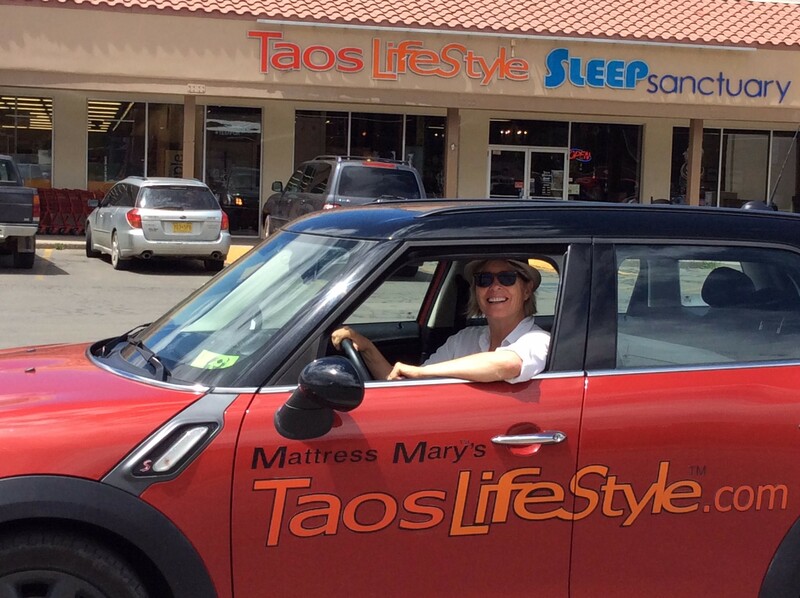 Like so many others, Taos got under her skin and Mary (an executive at a large mattress company) decided to take her chances and start her own business here in the Land of Enchantment. Sleep Sanctuary, Mary’s store, took off beyond her expectations and she became know to all (via her radio and newspaper ads) as Mattress Mary. We met one day at her new spot in the same plaza where she opened her first store. 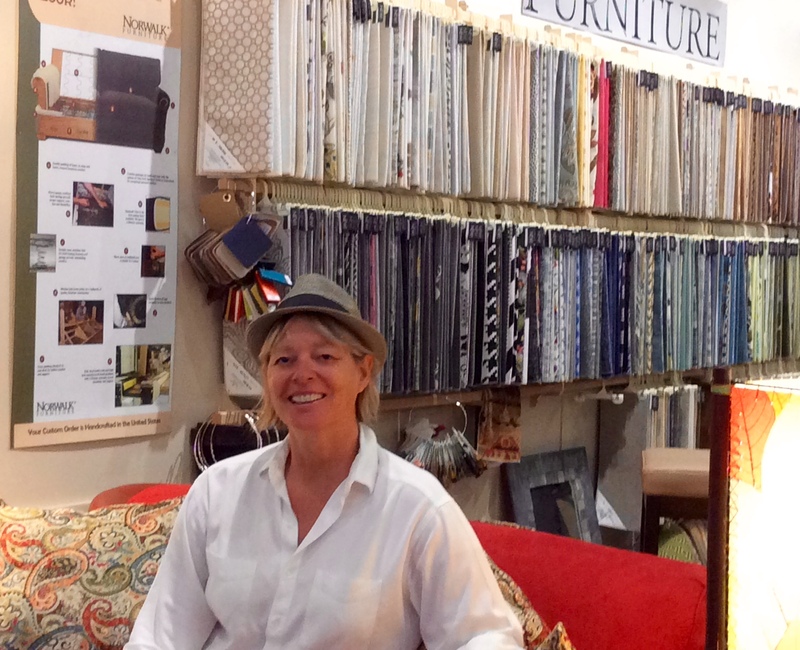 Taos Lifestyle, the new incarnation of her business has grown to include much more than the mattresses and bedding that earned her nickname. 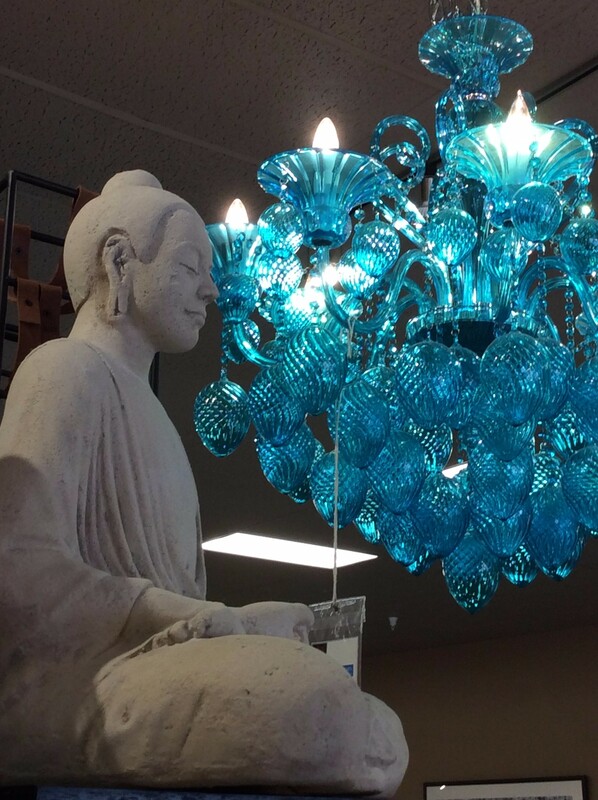 She now deals in furniture, light fixtures, and much more; in fact one could furnish and decorate an entire home with one visit to Mary’s warehouse-sized space. When Mary left the Bay Area for Taos, her mother was living with her at the time. One of four siblings, the youngest of three sisters, with a younger brother, she recalled she told her mother she’d have to move in with another sister. Her business booming, she bought a house and settled into her new home. During those first years here, Mary would listen to KTAOS and began calling in to donate to the (Taos animal shelter) Stray Hearts marathons the radio station would host. In 2009 Allegra Huston held a silent auction to benefit her Indie film, Good Luck Mr. Gorsky, and Mary bid on (local band) Bone Orchard. When she wound up with the band, she decided she needed to create an event, her annual Dog Days Benefit was born. So was her new incarnation as a music promoter. That first year Dog Days raised four thousand plus for the shelter. This year they raised over thirty thousand. The music bug had bitten and Mary continued to promote events independently until her accountant suggested it was time to create a new business entity. Mollydog Productions was born and has since become yet another succesful venture for this natural entrepeneur. And Mary is getting down and having a blast, juggling three businesses (she recently opened a new furniture store, Alamosa Home in Alamosa, Colorado) with no plans of slowing down any time soon. She’s got lots planned musically – she’s bringing Judy Collins to the TCA in February – and right now she’s looking forward to another sold out event. The Taos Blues Fest (featuring Walter Trout and others) at Taos Mesa Brewing on August 22nd, is coming up fast, but tomorrow, she’ll be on the road to Alamosa to check in on her new store before getting ready for the party. Her boundless energy is enviable. As I leave Mary’s office, I find myself slightly bemused, having returned to Taos at the ripe old age of 37, thinking it was time to retire my Rock and Roll life and find something more dignified to occupy myself with, as I reached a certain age. But in Taos, things happen differently, if your youth was spent in a suit, you can make up for it here! For much more on Mary Domito and what she does, please visit her sites linked below. August 13, 2015 in People and Places, Shop. 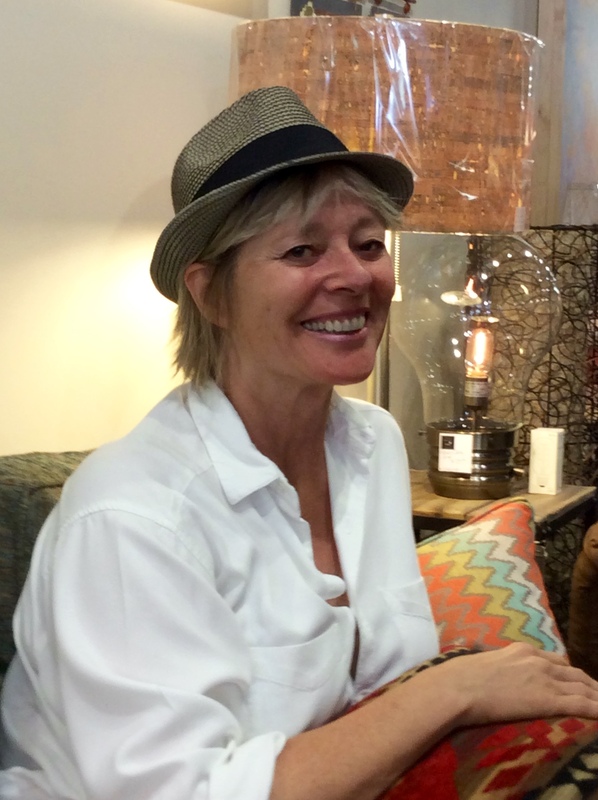 The most successful woman in Taos! She’s a real force and a brilliant business woman who is reinventing herself constantly! And she looks really good in that hat! Love Mary! Mary is such an amazing person. Larger than life! Love that woman very much! Thanks for commenting – this post has gotten lots of views – Mary is obviously loved by many!